Pre-operational tests have been successfully completed at unit 1 of the Lungmen nuclear power plant in Taiwan. However, start-up of the reactor has been delayed until a national referendum, not expected for up to another three years. 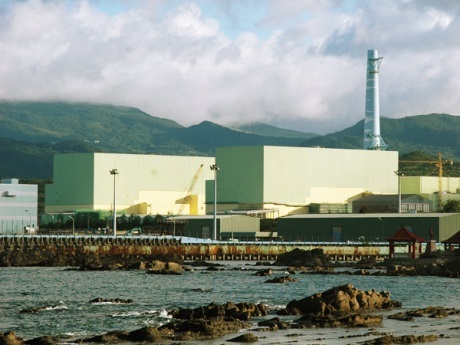 In April, the government of Taiwan bowed to anti-nuclear protesters and announced that unit 1 of the long-delayed Lungmen plant would be mothballed once pre-operational safety checks were completed. Construction of unit 2, meanwhile, was immediately suspended. A referendum is to be held later to decide the plant's fate. The Ministry of Economic Affairs has now announced that the pre-operational tests at unit 1 have been completed and that the unit would be sealed next year. The ministry said, since April, a total of 126 systems at the unit underwent extensive testing and thorough re-examination. Key functions verified included containment, instrumentation and control, "peripheral support", power generation, safe shutdown and water cooling. The tests concluded that the reactor "meets regulatory requirements." Minister of economic affairs Chang Chia-juch said, "Passing the rigorous review illustrates the high standards of care invested in the design and construction of the facility." The results of the pre-operational safety inspections will be sent to national regulator, the Atomic Energy Council, in September for further review and approval. Lungmen 1 will be mothballed for an initial period of three years, starting next year. The ministry said, "By sealing the reactor, rather than shutting it down before public consensus can be reached on this issue, options are being kept open for future generations." Plant operator Taiwan Power Company (Taipower) has put the cost of sealing and maintaining the reactor for the first year at NT$1.3 billion ($43 million), with the total cost for the three-year period capped at NT$2 billion ($67 million). The government has said that, but until the referendum is held, no more money will be invested in the plant's construction. Almost NT$300 billion ($10 billion) has already been spent building the plant. Construction work began on the two 1350 MWe Advanced Boiling Water Reactors (ABWRs) at Lungmen, near Taipei, in 1999, with the first originally scheduled to enter commercial operation in 2006 and the second in 2007. However, the project has been beset with political, legal and regulatory delays.